5. 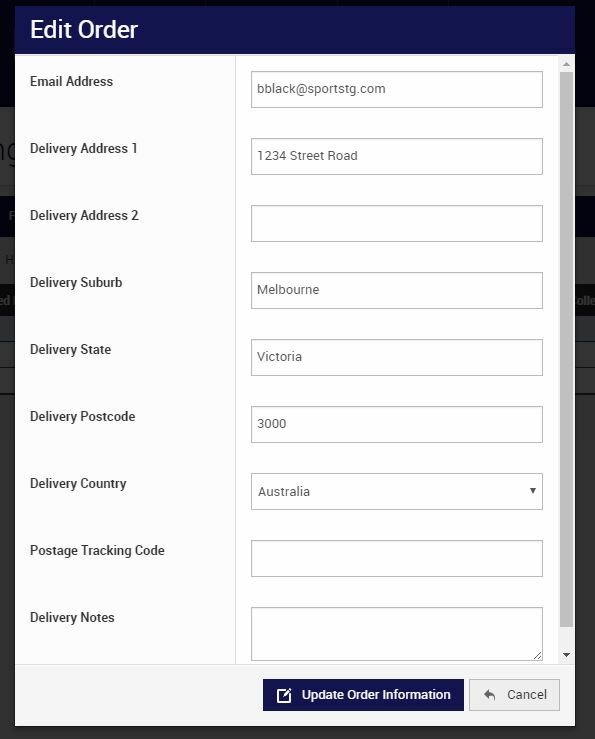 Click on Edit Order from the drop down menu. Administrators will be able to amend the customer’s email address and delivery details.